The company is expected to bring developer holographic apps for VR headsets at GDC. Microsoft will bring supported apps for Holographic devices to boost gaming industry. 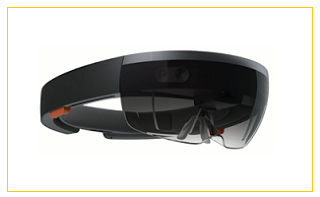 As per a video on the company's Channel 9 Site they will bring Windows Holographic developer kits at GDC. The upcoming Windows 10 Creators Update which is expected to be released in April 2017 will have a wider scope for Virtual, Augmented and 3D related capabilities. The recent entry to have this support is from Lenovo cheap VR headset we saw at CES. Windows holographic will support headsets from 1080x1200 per eye to 1440x1440 and refresh rates from 60 to 120Hz. Again it will also support traditional gamepads and 3D game controllers. With these holographic APIs, Microsoft Creators update will support a wide range of hardware but still doesn't appear to be a final one. A full Windows holographic functionality will soon be understood only after their streaming developer day on February 8 which company is planning. So far Microsoft's Windows Holographic APIs seems to have more focus than the fully commercial Hololens device. At this moment VR APIs are dispersed in industry. Valve has their API, StreamVR used in HTC Vive headset. From which part is open source named OpenVR, again bundled to be used with Rift. Oculus (Facebook) have their own SDK, the Oculus SDK. Many companies are are coming together to create OSVR (an open source VR platform). Khronos group is again working on their own VR specifications.